What does it mean when an instant drug screen (using a urine cup or saliva swab) tells me that a worker has a recreational drug in their system but the lab report says that the drug is NOT in their system? Shouldn’t the lab test be more sensitive than the urine cup? Is there something wrong with the testing process? I received a phone call the other day from a concerned recruitment advisor in mining. She had just received the alcohol rehab lab report for a urine sample we had collected and sent for analysis. The concerning part for her was that the instant cup we had initially used, indicated the presence of THC in a worker’s urine sample but the lab report did not. A drug screen, in the form of a urine cup or oral fluid swab, is first used to detect the presence of a drug or it’s metabolite in urine or saliva. This is a cheaper and much quicker method than sending a urine or saliva sample directly to a lab for GC-MS (or LC-MS) testing. When the cup or swab detects the presence of a drug or its metabolite, the sample is sent to a lab to confirm this finding and to report on the actual levels in urine or saliva. Otherwise, if no drugs are detected in the screen using the cup or the swab, the sample is disposed of and does not need to be sent to the lab. Laboratory GC-MS testing of samples is a far more accurate method and is performed to Australian Standards. Lab results confirm whether or not a drug or its metabolite is detected in the sample and report on whether the concentration detected is therapeutic (in the case of prescription medication) or recreational (in the case of illicit drugs or when prescription medication is abused). The important thing to understand about lab testing is that each drug class has two “cut-offs”. The first cut-off is called the Level of Detection. If a drug or its metabolite is absent or the concentration is below the level of detection, the lab report will confirm a “negative” result. However, if the concentration of a drug or its metabolite is above this level, the lab report will confirm a “positive” result, meaning we are absolutely sure that the drug or its metabolite is in the sample. Concentrations of therapeutic drugs or their metabolites that are used correctly will sit within their Therapeutic Range. The next cut-off is at the upper level of this range. If the concentration of a drug or its metabolite is between the level of detection and this next cut-off, the lab report will indicate a therapeutic dose. However, if the concentration of a drug or its metabolite is above the Therapeutic Range, the lab report will indicate recreational use. 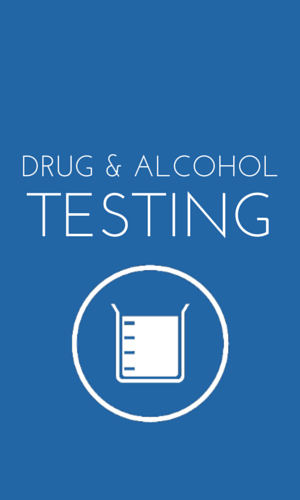 So practically, what does this mean when all types of workers are found to be “positive” for all types of drugs during drug and alcohol testing? 1. A worker who has recently taken Panadeine Forte for headache, will most likely be confirmed “positive” for Opiates but the report will also show that the concentration is within the therapeutic range. This worker is NOT misusing drugs. 2. Similarly, a worker who has recently taken Codral® Cold & Flu for the flu, will most likely be confirmed “positive” for Methamphetamine but the lab report will show that the concentration is within the therapeutic range. This worker is NOT misusing drugs. 3. Another worker who discloses that they use a pre-workout powder before exercising at the gym will most likely be confirmed “positive” for Amphetamines. If the lab report shows that the concentration is many times above the therapeutic range however, this worker may be lying. This worker MAY BE misusing drugs. On the other hand, if the lab report shows that the concentration is within the therapeutic range, there is a good chance this worker is telling the truth and that this worker is NOT misusing drugs. Workers who are “positive” for THC (from cannabis) do not have the same luxury because, without a prescription for this drug, its use is considered illicit. So, back to our recruitment advisor, was THC present in the applicant’s urine? Most likely. Was there enough THC present in the applicant’s urine to be absolutely sure? No. Because the concentration of THC was below the level of detection, the lab report will only confirm a “negative” result. Remember, any Instant Drug Screen, is important for rapidly detecting the presence or absence of a drug or its metabolites. Laboratory GC-MS testing will confirm detection and report on whether or not the concentration in the sample is therapeutic or recreational. The key to understanding the lab results, is knowing there are “cut-offs” what they tell us.